It seems so simple at first. Maybe you have a specific project in mind, or perhaps you’re like me, and simply decide that you want to add a hand plane to your tool box. You start doing a little research and soon realize that anything you can buy at your local hardware store is junk, and many of the planes made by the specialty shops cost more than your fancy router and cordless drill combined. Eventually you might find your way to some online forums or blogs (like this one), and learn that buying an old Stanley is your best bet. But which one? After all, there are so many shapes and sizes from which to choose. Well, the fact is there’s no such beast as an all purpose plane any more than there’s a single all purpose screwdriver, but since everyone needs to start somewhere, let’s figure out what that means for you. The first, and most obvious question is, what do you intend to primarily use it for? Block planes measure about 3” to 7” long and are usually used with one hand. They are similar to bench planes, but can be divided into standard angle and low angle. Standard angle block planes shave the face or edge of wood just like bench planes, while low angle block planes are better suited to shaving end grain. 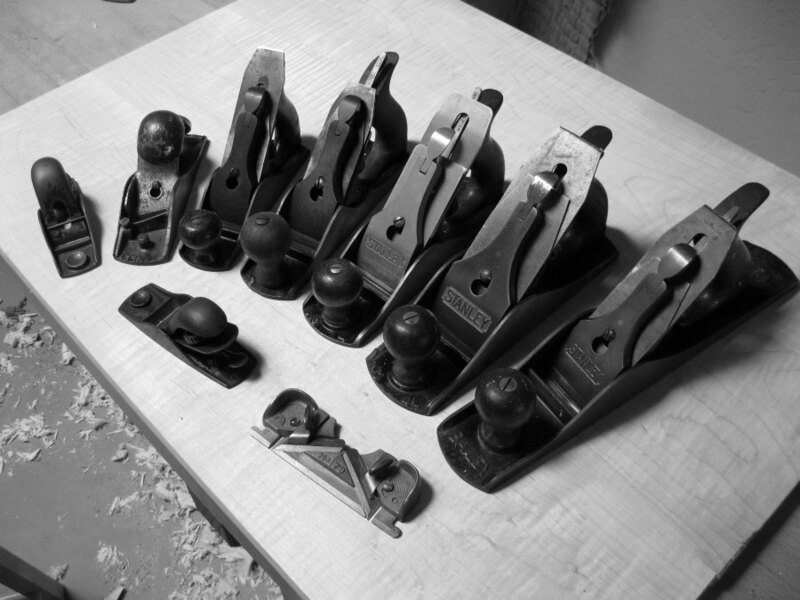 Specialty planes encompass every other variety of plane, from router planes to rabbet planes to molding planes. While there are a couple of specialty planes that are also considered bench and block planes, I don’t want to confuse you so we’ll just let that be for the moment. For general use around the house, an obvious choice is the Stanley no. 5 plane, a 14” plane commonly referred to as a “Jack” plane. Although I don’t think anyone knows for sure, the term Jack is often presumed to refer to “jack of all trades,” implying that the no. 5 can do a little of everything, even if it doesn’t do any one thing better than any other plane. The no. 5, like the larger no. 6, is usually considered a Fore plane. Fore planes are the first planes used when preparing rough stock, squaring it up and planing the surface relatively flat. Strictly speaking, it’s actually a little too short to be a Fore plane and a little too long to be a smoothing plane, but it’s often included in the former category anyway, because we humans love to categorize everything. The Stanley no. 5 and its competitor’s counterparts is an all purpose plane. As I said, while it does most things well, it doesn’t really excel at anything in particular. The no. 4 is a better smoother and the no. 6 a better Fore plane, but the no. 5 can pass for either, which is not something the others can do. For taking a little width off a door or quickly reducing the width of a board, the no. 5 is a great solution. If the heft of the no. 5 is too much or your projects tend to be a little smaller, go for the shorter no. 4 plane. While designed to be a smoothing plane, the 9” no. 4 is also a very passable all purpose plane, especially for smaller applications. Better yet, just get one of each. 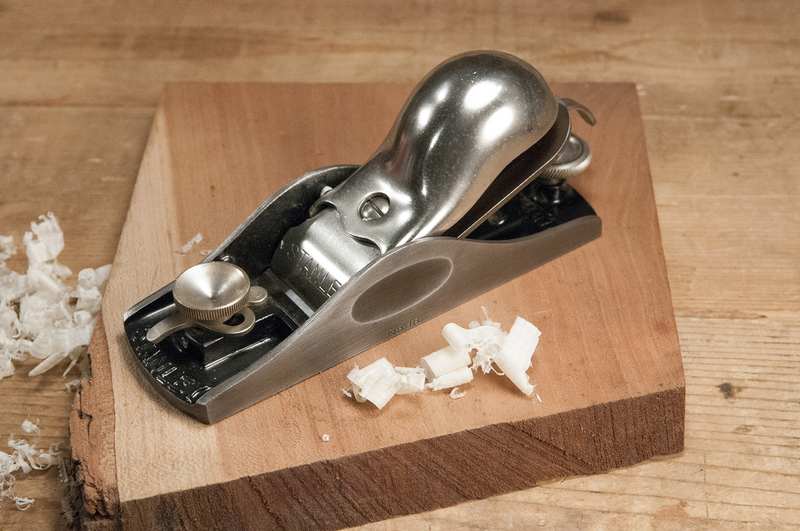 In my opinion, everyone needs a good block plane. They’re small, lightweight, easy to handle, and extremely versatile around the house and workshop. While there are several flavors of block planes that will suit just fine, my favorite by far is the Stanley no. 18. Incidentally, the no. 18 is identical to the no. 9-1/2 in every way except the design of the lever cap. I find the no. 18 to be more comfortable, but the no. 9-1/2 was historically more successful, so decide for yourself. Other than the design of the cap, they’re identical. The no. 18 is 6” long with a standard 45º angle of cut, the same as the larger bench planes. Functionally, it does the same thing as a bench plane, but on a much smaller scale. In fact, it may very well be that if most of your projects or planing jobs are small, a block plane will be more valuable than a larger bench plane. A possible (although more exotic) alternative to the no. 5 bench plane could be the no. 10 rabbet plane. It’s the same size as the no. 5, but features an opening on each cheek that enables the iron to cut flush against each side of the plane. While it can still be used for all the things a no. 5 is used for, it has the added benefit of shaving right up against edges. No. 10 planes are nowhere near as common, cost considerably more, and are much more fragile, but they are quite versatile. 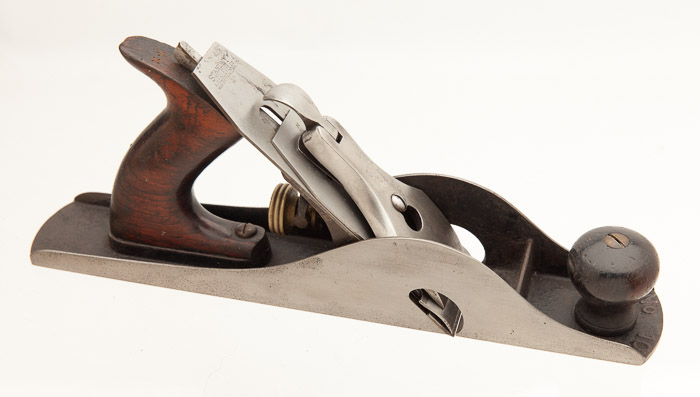 An argument can also be made for one of the low angle block planes, such as the Stanley no. 60 or no. 65. While the 12º bed angle for these planes is lower, the iron is positioned bevel up. If you have two irons for your plane, you could hone one at the normal 25º for low angle use (12º+25º=37º), and another at 33º to achieve standard angle (12º+33º=45º) use. This could be a good solution if you are dead set against owning more than one block plane (yeah, good luck with that). 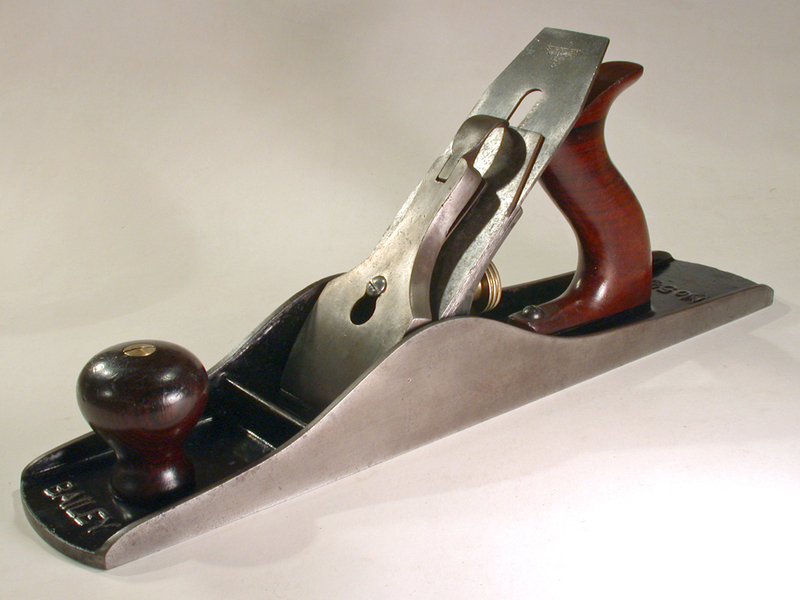 If you seriously plan to only purchase ONE bench plane, a nice vintage Stanley no. 5 is hard to beat. I would argue the same for the no. 18 block plane. These are also good planes to start with if you intend to build a small collection. Ultimately, your decision should be based on your needs, the size of your work and the how you will use them. For more detailed information about the three types of bench planes, see Selecting the Best Bench Plane for the Job.